For over 50 years, helicopters have been one of the most indispensable resources for those in the oil and gas industry. With the versatility and exclusive abilities of the aircraft and assistance with the transport of crew and cargo, special missions have resulted in an increased profit through the efficiency only helicopters can provide. The Gulf of Mexico oil fields, alone, employs more than 600 helicopters for various uses such as transportation, heavy lifting, search and rescue and surveys. 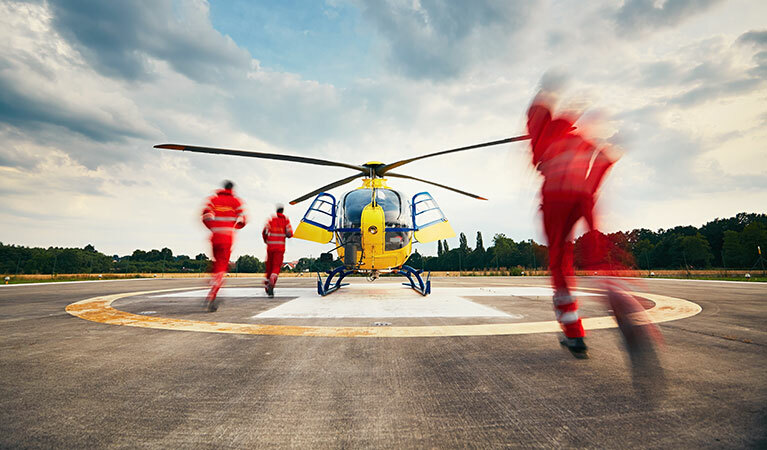 FairLifts is a professional resource for any company or individual in the need for helicopter assistance in Louisiana generally, as well as specifically for Houma offshore operations. The operators and experienced pilots we do business with have been working in their respective fields for decades, many came directly from the military and are accustomed to the ever-changing conditions and plans of the oil industry. Both daytime VFR and nighttime IFR operations are conducted for our Gulf clients and on-demand flights are easily accommodated in the event of last minute changes. With our expansive partner network, we can arrange a helicopter for you at any time you need it. Our rapport within the offshore helicopter community not only allows for ease of scheduling but also for providing you with the most options in aircraft models to fit the size of the load or crew capacity and project. While typical shuttles to and from the heliport to the offshore rig may only require a smaller helicopter such as the Bell 206’s, A-stars and EC-120s, heavy lifting and transporting of cargo may call for a larger or medium size model like the S-61s. All aircraft we schedule for our clients come with the most advanced safety technology including floats, rafts, life vests, ELTs, etc. We guarantee we will schedule the right helicopter for your offshore endeavors in Houma. Whether you are in need of short-term helicopter resolution or if you are in need of a more permanent operator, FairLifts can arrange it. 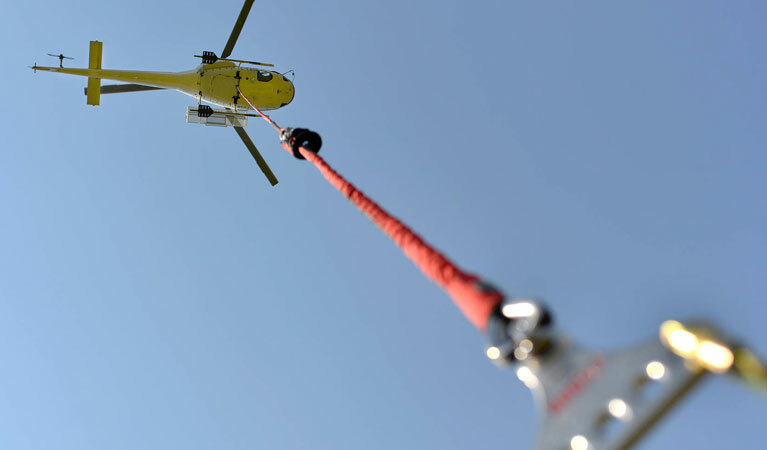 With exploration, drilling and production taking place at greater depths each year and further off the coast, it is imperative that you schedule your recurring helicopter transport soon. The United States relies on a constant supply of petroleum products meaning business in the offshore oil industry can never be allowed to slow. This has been the case since the early 1900’s when Texaco began drilling on Lake Pelto. Since, Louisiana has grown to have reserves of 458 million barrels of oil (excluding federal offshore areas), 2.1 percent of the nation’s total, and 10 billion cubic feet of natural gas, 4.2 percent of the U.S. total. Besides Texas, the state produces more petrol products than any other. With business being what it is in the Gulf, a near 25% of all domestic oil production, it is no wonder the use of helicopters is needed. Transporting oil products, machinery and parts as well as crews is an on-demand service and must be handled by a professional and experienced pilot. Which is why FairLifts works with nothing less to provide you with efficient, precise and safe offshore helicopter operations in Louisiana. FairLifts can assist you with Houma offshore operations, production drilling operations, transport and onshore helicopter services. With our vast assortment of operators in Houma, Louisiana as well as throughout the world, we are able to assign the right aircraft, pilot and operator for your specific need. Quick response, long term contracts, brief shuttles and cost-effective options are offered exclusively to our clients and we are happy to assist you in finding a versatile and efficient solution to many of the logistical issues that may arise when operating in the Gulf of Mexico. Ship to shore, base to platform and onshore transfers are performed by our network of partnering operators all over the world. Passenger handling and support is easily scheduled with FairLifts and we can provide professional scheduling for A to B transfers, multi-stop charters, long and short term transports and more. Your offshore drilling platform may require consistent crew changes there or on a remote vessel. The fastest way to perform these transfers is by way of helicopter. Experienced pilots and operators can be arranged for on-demand and last minute shuttles during regular shifts and in the event of emergency evacs. Inspections, energy transport and large groups can all be transported easily with the use of both small and mid-sized helicopters. Faculty, crew, business personnel and VIPs can also benefit from the helicopters we charter for Houma offshore operations as helicopters scheduled through us are available last minute and for any length of time. Often, offshore drill platforms are in need of additional materials and cargo to continue operations. Heavy lift drilling supplies, sling and production rig equipment, energy products and additional material payloads are needed to be transported to remote locations or platforms and helicopters are best suited to perform these. Helicopters can transport heavy cargo long distances and can assist in the placement and installation of parts needed. Helicopters provide a fast and immediate response to emergency situations when minutes matter and time is of the essence. FairLifts operators work around the clock to schedule SAR and medevac transport for those injured from rig to base seamlessly and in the quickest way possible. When you need to inspect or tour offshore bases and rigs, the best view is from above. Helicopters employed for Houma offshore operations can transport executives, CEOs, partners and clients to and from on-site and off-site locations giving a full view of the structures needed. FairLifts can provide you with all encompassing services including those on shore. We can schedule helicopters for many services including: delivering crews to remote locations for pipeline checks, seismic surveys, mineral exploration and marine pilot transfers, pipeline infrastructure inspections, and an additional broad range of oil and gas support. Your Houma offshore operations can be more efficient! FairLifts can offer you a free consultation with a professional helicopter agent experienced in the offshore industry. We are available to speak with you about your project specifics as well as provide you with a complimentary quote seven days a week, simply call or navigate to our contact page for our easy to use form.